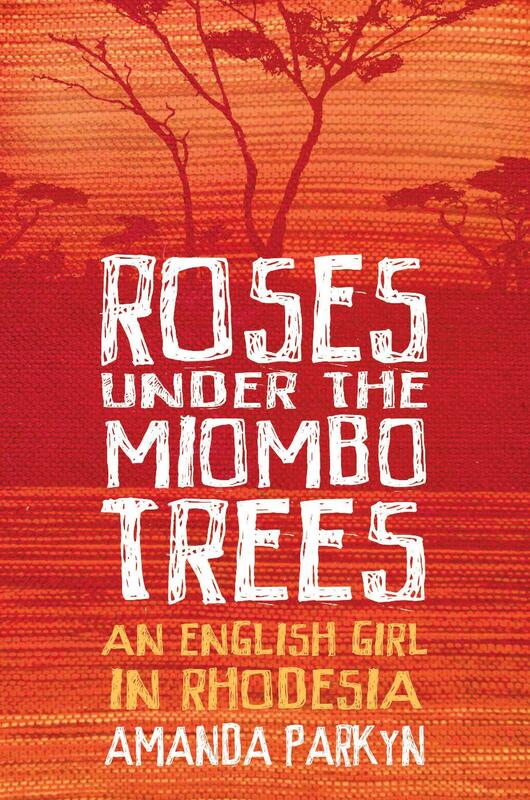 Roses under the Miombo Trees is a memoir set in 1960’s colonial Southern Africa. Based on the letters she wrote home to her parents in England, it covers significant events in Rhodesia’s history as uniquely witnessed through the eyes of a young housewife. As a young English bride, Amanda finds herself in 1960’s Southern Rhodesia, where Ian Smith’s Rhodesia Party is soon to be elected, and subsequently in the northernmost tip of Northern Rhodesia as it is about to be granted its independence. She writes home regularly, describing life in a white colonial society very different from that of her upbringing, where she is desperate to fit in, learning to be a good wife and mother, as well as ‘madam’ to a succession of servants. Back in England her mother, sending frequent parcels of everything from shoes to toys to Christmas cakes, keeps her daughter’s airmail letters in an old document case. Forty years later Amanda has revisited these letters, and Roses under the Miombo Trees weaves a narrative around the voice of her young self and the memories she now holds of the time, setting the story within its historical and political context. The memoir describes the carefree enjoyment of a privileged white lifestyle in the African sunshine, the fun and resourcefulness of communities making their own entertainment and the support and friendship of young wives and mothers far from ‘home’. But it also uncovers a young woman’s hidden unease at the foreignness of it all, of being white among black Africans, and Amanda as narrator must face her young self’s casual racism and colonial attitudes. Poems at the end of most chapters reveal, in a different ‘voice’, other aspects of the story. A postscript asks what might have happened to those she knew then, in countries now so different from when she lived there. Note from the author: Writing this memoir, I began to wonder what sort of a life might have unfolded for those young men who worked for us as domestic servants, first in Southern Rhodesia (which became Rhodesia and then Zimbabwe) and then in Northern Rhodesia, which became Zambia during our years there. Given the health and economic challenges that people in those two countries face now, I decided I would like to make a contribution from the sale of each copy to a charity that works in both countries. I first learned of the work of SOS Children’s Villages from the follow-up programme to a moving and distressing Channel 4 documentary ‘Zimbabwe’s Children’ . SOS Children cares for vulnerable children affected by poverty, disease, conflict, and natural disasters. We provide orphans and abandoned children with a loving home and a family for life in our SOS Children’s Villages. We also provide support to families at risk of fragmentation in an effort to reduce instances of child abandonment and neglect. SOS Children’s new Village in Chipata, Zambia, will soon be home to children left alone because of poverty and disease. Soon, the first of generations of children moving into the Children’s Village will have a loving family home with an SOS mother. Our SOS Children’s Village in Chipata includes 13 family homes, a Nursery, and a Medical Centre. We also operate a mobile medical unit to extend our healthcare work to outlying communities. – What a fascinating read, what a different life! – Anyone from that time in history will be absorbed, you have done so much research into the broader background that one is both informed and entertained …I have read numerous books about Africa and Rhodesia, some fact, some fiction based on fact, and I rate yours right up at the top of the memoirs. From someone who was there: – You give us all a brilliant flashback to how we were then.